sending 82-thousand tons of the potentially toxic substance into the Dan River. That pipe has since been plugged with cement. But many questions linger. How to best clean the river? What’s the timeline for the cleaning? Are state regulators too cozy with the companies they monitor? 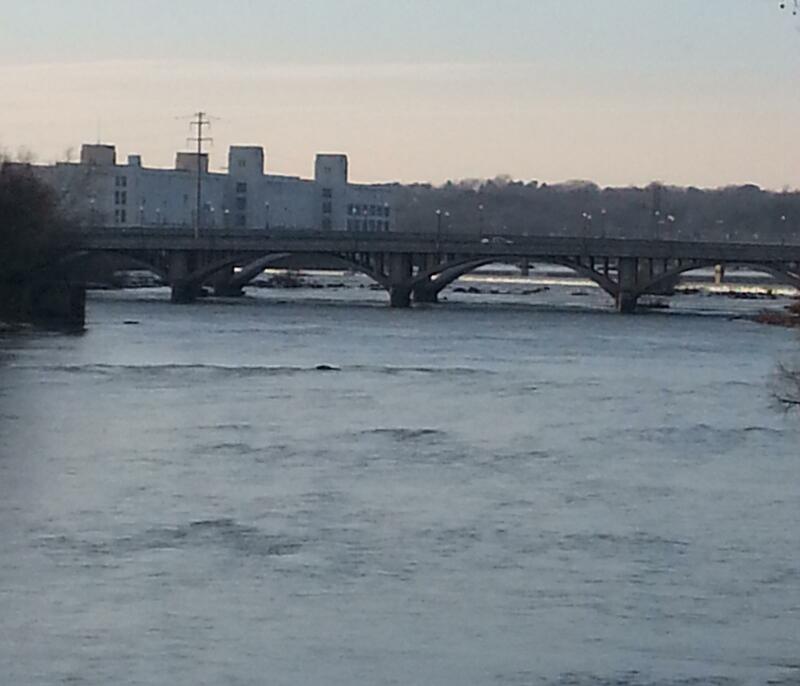 How dangerous is the Dan River for humans and aquatic life? What should be done with the more than 30 remaining coal ash ponds in the state? And --- is anything really going to change? "You know there were a lot of questions that were either pushed off, not able to be answered, delayed for a later time, referred to a website," said Amy Adams. She used to work for the state Department of Environment and Natural Resources (DENR). Today she’s an environmentalist with Appalachian Voices. Kate Dunnigan attended the meeting. She said: "I think the big take-aways for me are more about what I did not learn that what I did learn." For more than two hours a packed room remained civil but intense, as many pointed questions went largely unanswered. Duke Spokesman Jeff Brooks: "We had no, uh, prior knowledge that this would be an issue here, so as part of our investigation we’re going to have look at very closely to see what the real issue was here and what caused the break." Coal ash is a byproduct from coal-fired power plants. It’s mixed with water and stored in ponds. The company initially thought the broken pipe was made of cement. Why the pipe broke remains yet another unanswered question. The hole has been plugged and a fraction of the pipe has been filled with cement. EPA officials say eventually all of the almost one thousand long foot pipe will be filled. Duke has begun vacuuming up some of the highly concentrated coal ash in the river at the end of the pipe. For the time being they say trying to dredge the pond in its current state could lead to another disaster. Meanwhile, there is a second, separate pipe, running underneath the same pond. There are questions about the durability, risk factors and what to do with that storm water pipe. So far, no answers. "Right now at the moment we’re still conducting water sampling," said Kevin Eichinger. He’s on the federal emergency response team, dealing with the spill. He was part of the clean-up crew in Kingston, Tennessee six years ago. There was a rupture in a dike there that unleashed 1.1 billion tons of coal ash. That was the biggest coal ash spill in US history. The Eden spill is the third biggest on record. Though the spill is the third largest, its just a fraction of what happened to years ago in Tennessee. Eichinger says the agency is currently using methods learned from the Kingston, Tennessee spill. "What do we sample for, how do we sample, where is coal ash deposit, what data do we need to take during that sampling to determine the models where it has deposited," Eichinger explained. After the spill in Tennessee there was a lot of talk about proposed new regulations, how to deal with 50-year-old unlined coal ash ponds and industry changes. But coal is big businesses and nothing really changed. Amy Adams, the state employee turned environmentalist, says this is history repeating itself. "Absolutely, 100-percent, unequivocally, this was preventable. Had the EPA passed regulations in 2008 after Kingston, we would have regulations on a federal level on how this ash was stored," she said. Adams and many other environmentalists say the series of spills could be stopped simply by digging the coal ash out of these unlined ponds and moving it to lined landfills, away from water sources. Meanwhile this meeting played out after an announcement yesterday from Governor Pat McCrory’s administration that a new task force is being created at DENR. The task force will assess all other coal ash ponds in the state over the next month. Opponents say that McCrory, who worked at Duke Energy for 29 years, is delaying meaningful action. Neither the state government, EPA or Duke has laid out any specific timeline for what the next steps are, or when they will take place. Environmental groups are asking to take part in negotiations over how to clean-up contaminated ground water sites. The state Division of Environment and Natural Resources – DENR – is trying to reach a settlement with Duke Energy about how to clean up sites contaminated with coal ash, from power plants. Many conservationists don’t think DENR’s proposed settlements will go far enough – and have asked a judge for permission to join the state’s lawsuit as plaintiffs.